In English this week we were looking at procedural writing and decided to learn the step by step instructions to make a barm brack for Halloween. We then took all the steps and put it into practice and bake the brack. It was delicious! On Thursday the 5th of March Grace competed in a 'Spelling Bee' challenge. She did extremely well and came 5th in the county. It was a great experience and the school is very proud of her. 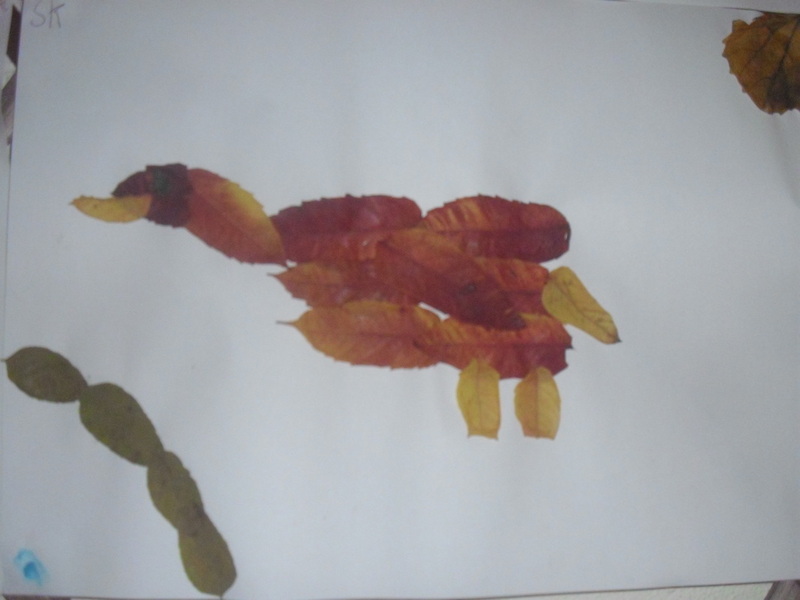 Well done Grace. Well done to our debating team. 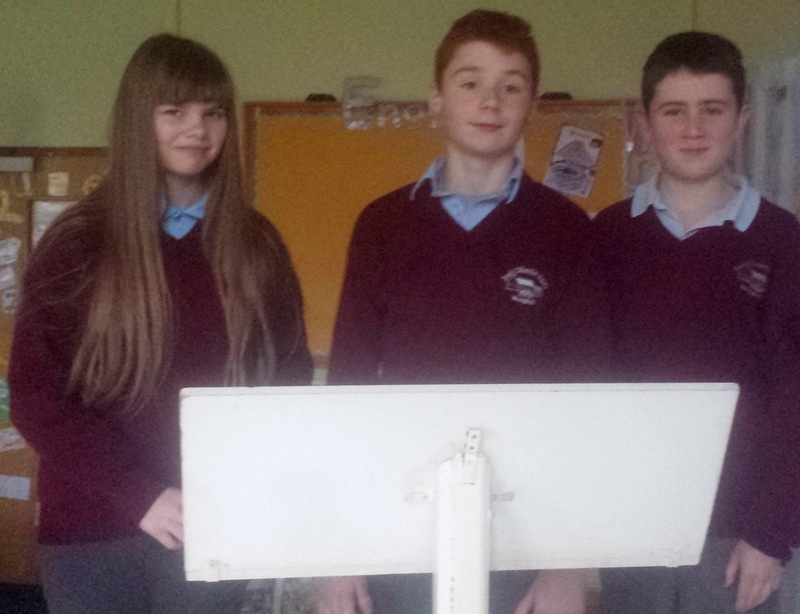 Grace, Patrick and Niall debated against Birr boys school. The motion on which the children were debating was that children in primary school should have mobile phones. Our team debated against the motion. They were excellent and the school is very proud of them. Well done. 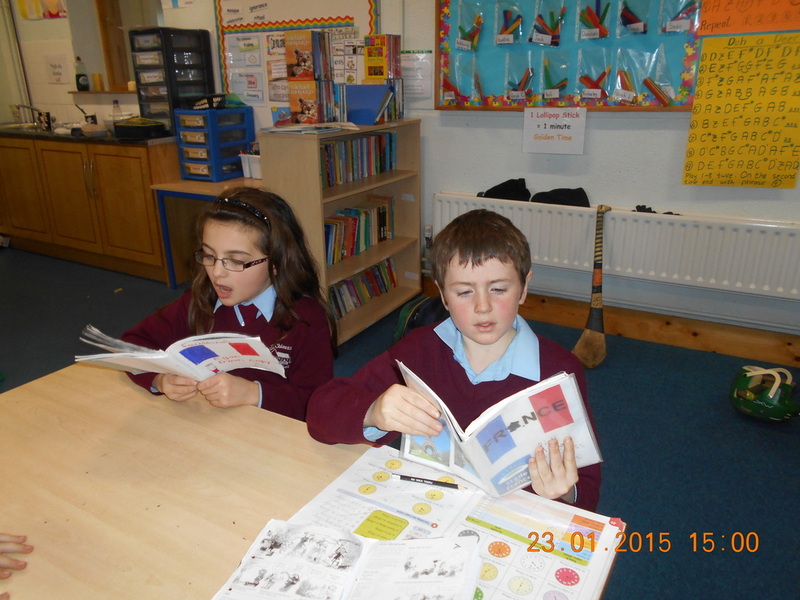 Pupils from 4th, 5th and 6th class are enjoying learning the French language. Thanks to Mrs. O'Brien for giving the children this opportunity. 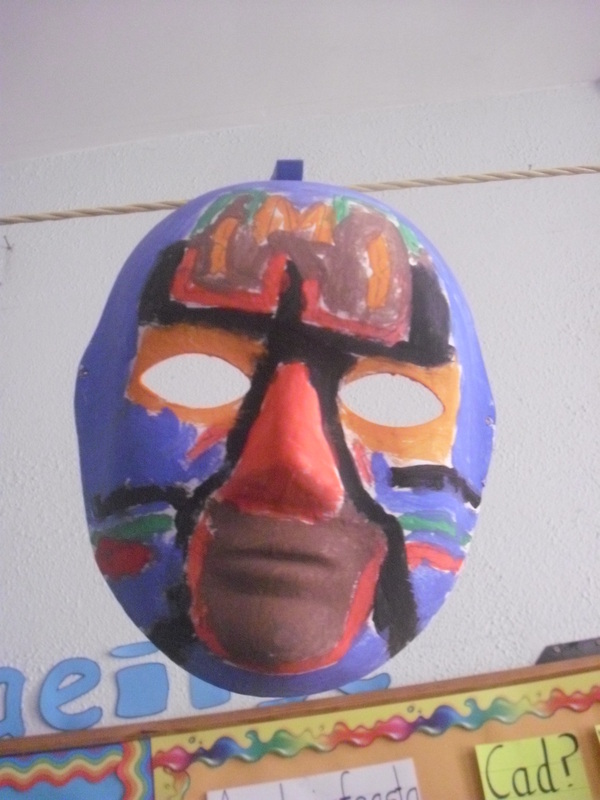 Last week in our school was science week. We made butter, scones, crystals and bridges out of paper. When we were making the butter, Ms Mahon turned on some music so that we could entertain ourselves while making the butter. After about fifteen minutes, the butter was ready. Ms Mahon put it in the fridge to let it harden. The next day, we made some scones. We made two different batches, one with raisins and one without them. To make the scones, we used buttermilk, flour, salt and bread soda. We put them in the oven and waited. After fifteen minutes, the scones were cooked. Ms Mahon spread the butter we made over the scones and gave us one each. They were absolutely delicious. We had great fun dressing up for Halloween. We even got to carve our own pumpkins. We wish everyone a happy and safe Halloween. 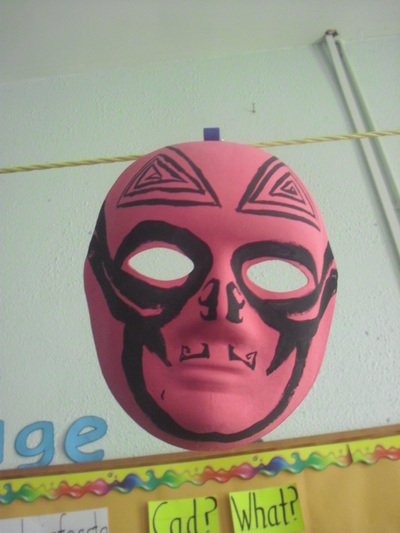 Over the past number of weeks we've been exploring clay in our art. We created some monsters and some scary witches just in time for Halloween. We have had a very busy week with Maths Week. 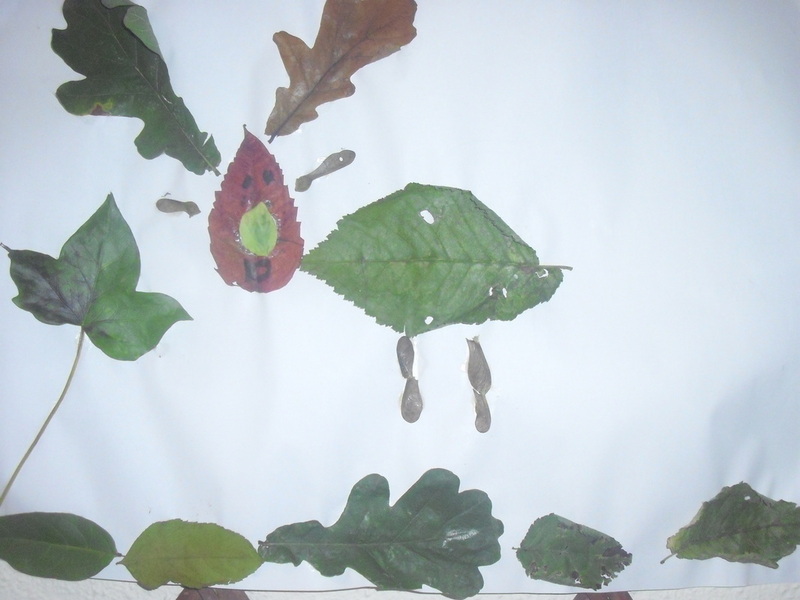 We went on a Woodland Maths Trail, played Maths board games, attempted to get out of the Maths Maze and we even experienced Maths through ICT. It was great fun!! We headed off on a nature trail around the school to find and identify different leaves. 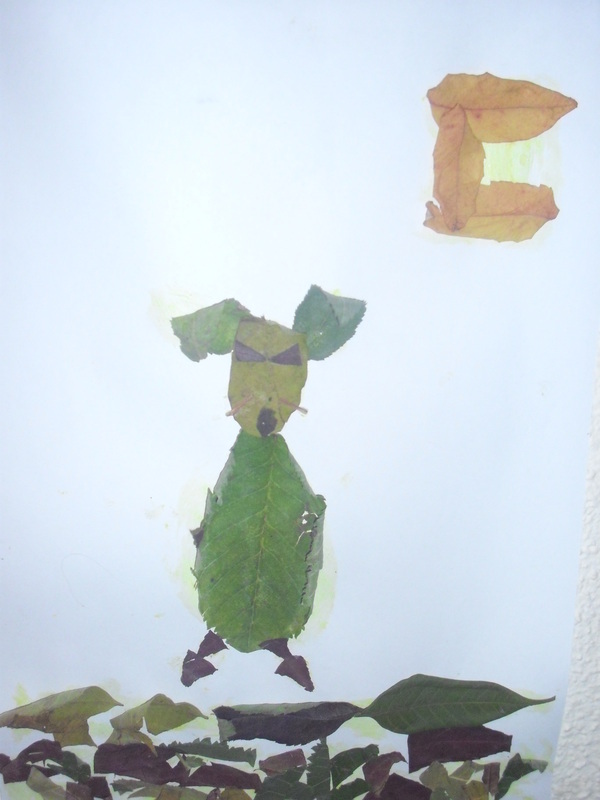 We each collected our own bag of leaves which we then used to create our leaf animals. 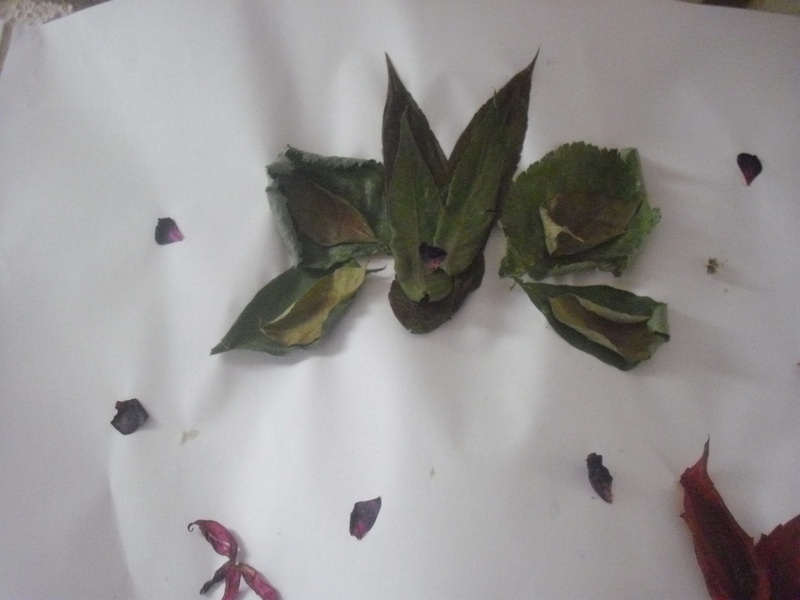 In the Senior room we did an experiment to show that plants are living things and that they drink water. We added different food colouring to water and put white flowers and celery in each container. Our flowers and celery began to change colour as the level of water went down in each container. We proved that plants do drink water. Have a look at the results. ﻿﻿We were very busy during September learning all about the Maori in our history lessons. 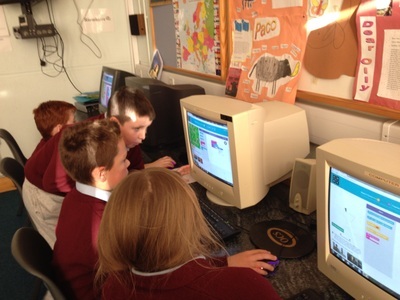 The pupils of our school have been busy constructing our own Virtual world replica of Clonmacnoise for the last few months.. A Virtual world is built on a website using software called Imprudence and Scratch. 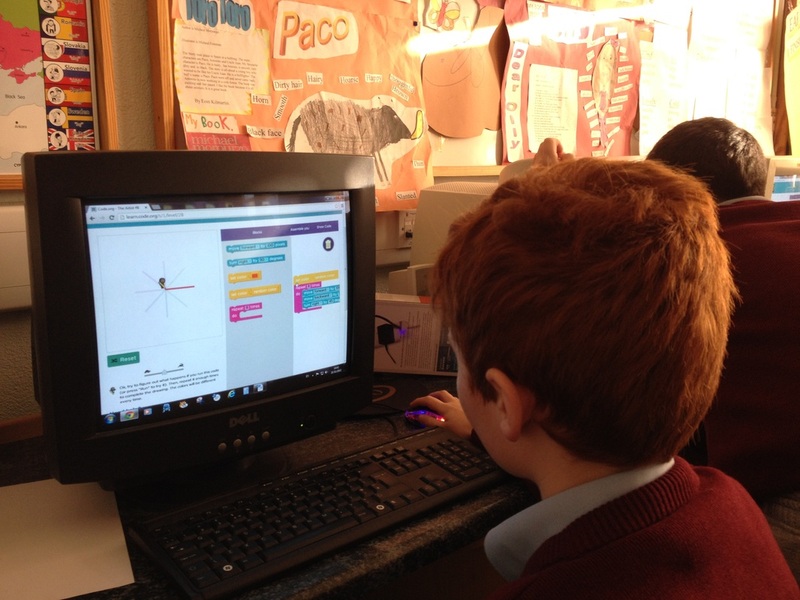 It can be compared to Minecraft and Second Life but we have passwords and secure logins. James Corbett CEO of MissionV organized these for us. First we researched Clonmacnoise. Then we went there to gather information. We studied life in a monastery. We downloaded Imprudence, Scratch 4Opensim, got our 16 acres and started work. Building with MissionV Virtual World is a bit like Lego online. We use geometric shapes to construct our structures and we add code to make our objects interactive. We added textures to make our buildings look real. 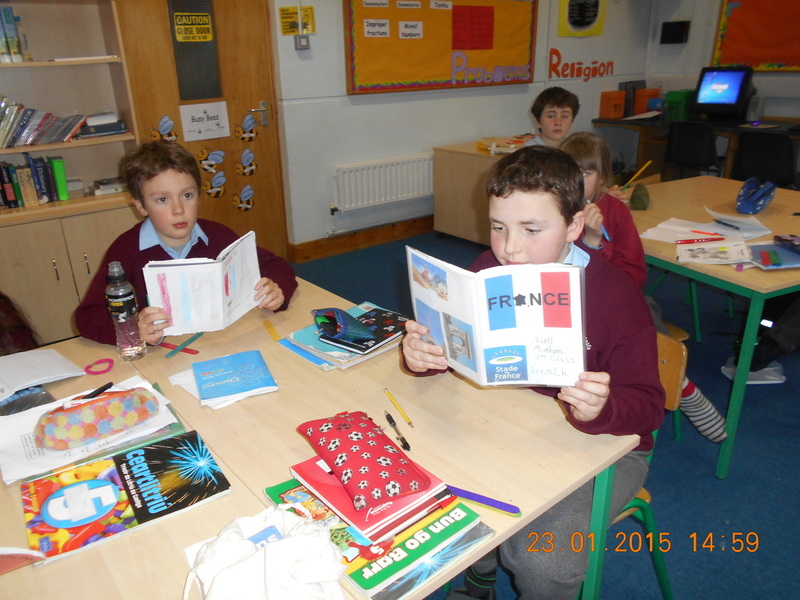 4th, 5th and 6th classes worked together in groups. We had responsibility for different structures and occupations and we had to study them and write reports about them. Working on the Virtual World was great fun. We helped each other solve problems and make models that looked realistic. We made a fantastic real life model from cardboard and stone. 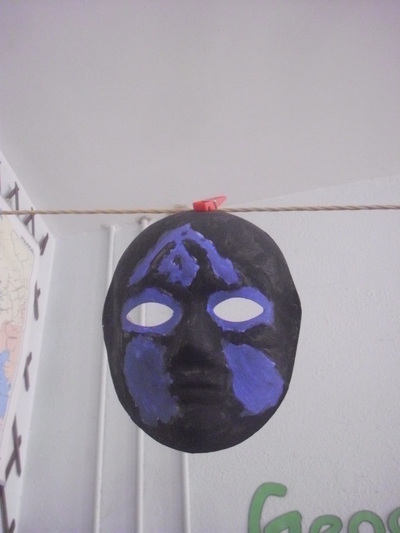 When you are online you are an avatar and you can talk by typing. You can walk, jump, fly and see each other and use gestures to communicate. 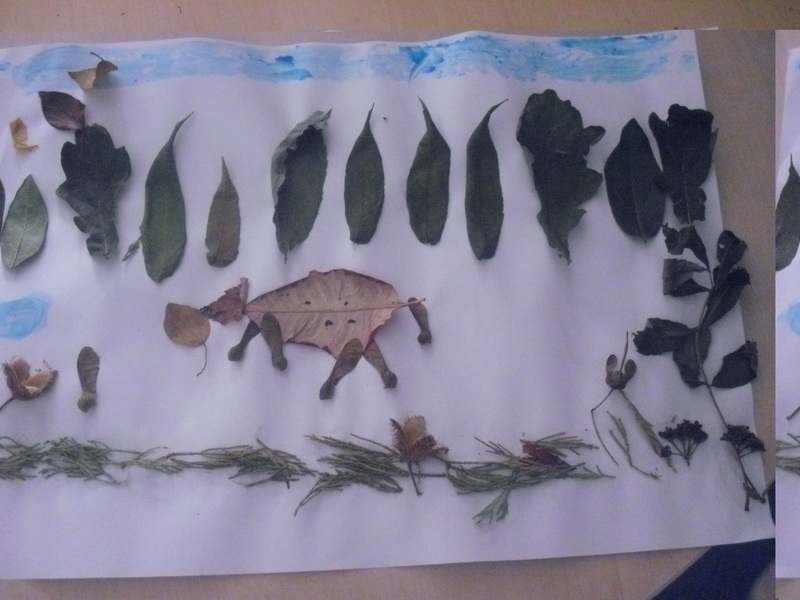 We used our imaginations to create churches, round towers, Celtic crosses, trees, farms and animals. It was hard to do some scripts or codes for opening doors. We were able to put up information about the history of Clonmacnoise too. 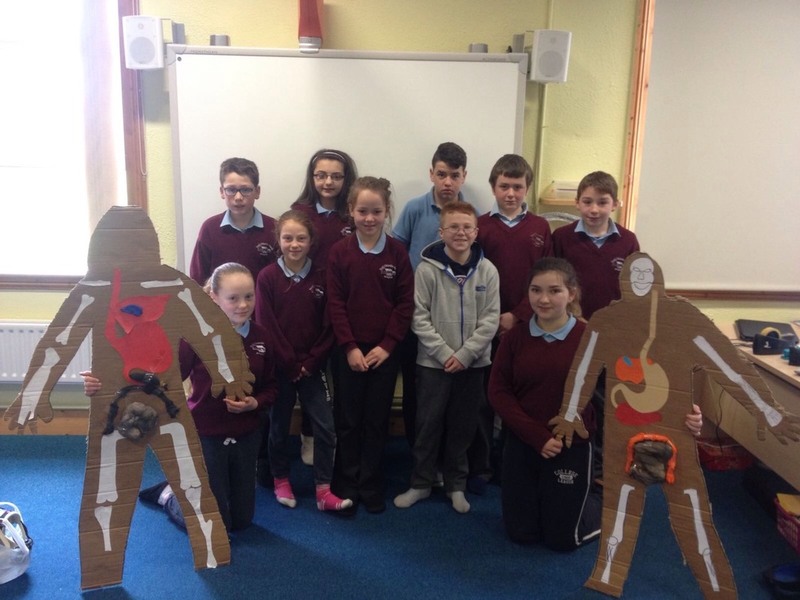 We linked with St Munchins in Limerick and gave them a live tour of our site. We showed them how to do handstands and flips. 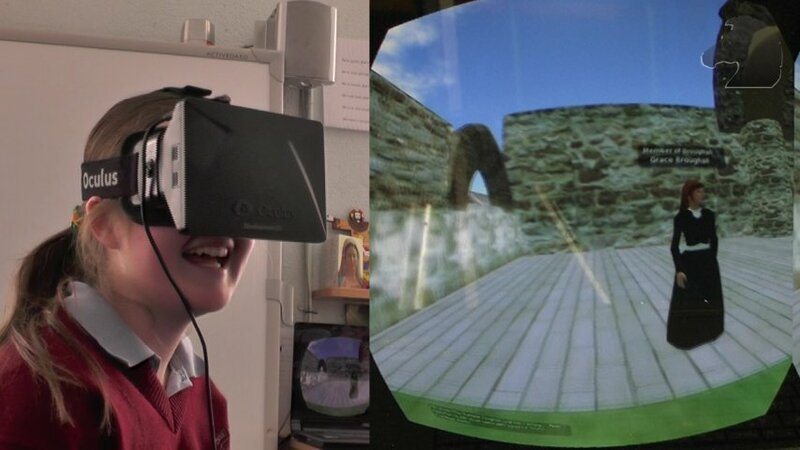 The best thing we did was just before Easter we got the chance to go into our Virtual monastery using Oculus Rift. This is a virtual headset which lets you actually walk around the virtual world. It was humongous…. Click on the link below to see all the effort and hard work that has been put into our Mission V project. 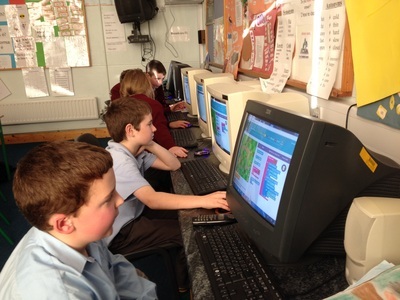 Our school is very lucky because we get to do Virtual world. Vitual world is a computerised program. 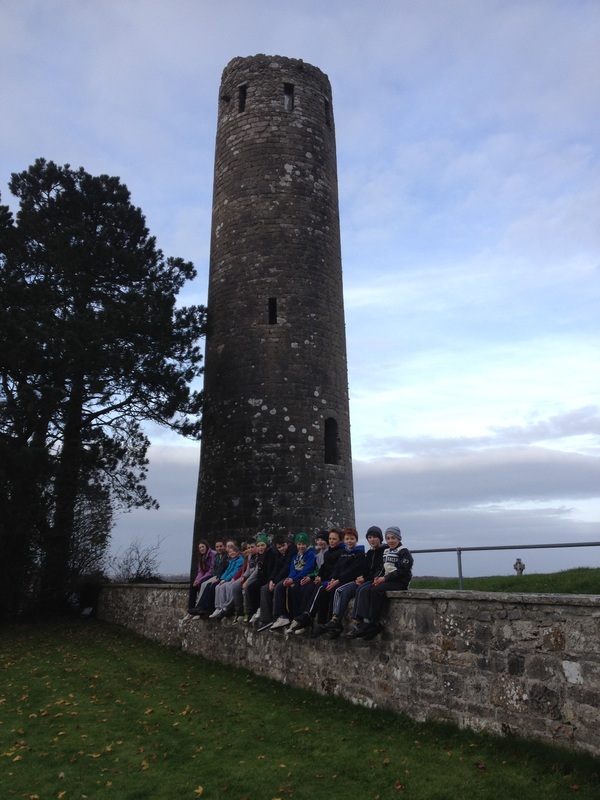 We were asked to build Clonmacnoise in it. We were so excited. We did it two years ago as well so we are used to it. A Virtual world is a computer based world on which we are representing really world. 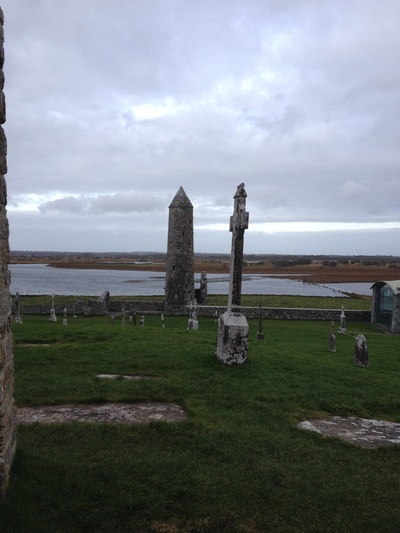 To research our subject we had to travel to Clonmacnoise. While we were there we studied the site and got our information. We also took photographs. In school we had to download Imprudence and Scratch 4 second life. This allows us to write scripts for movement. To build a Virtual world we have to know technology, maths, write reports, research and do lots of problem solving. 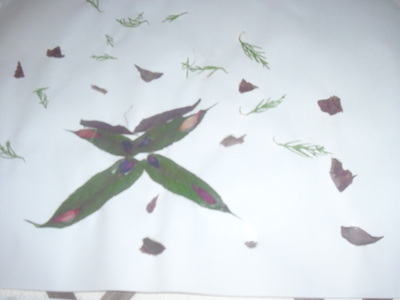 When we are finished we can fly around our world as an avatar and let people see our work. I think Virtual world is unreal. This is my second time using it and I had great time and a great experience. And I think we should use it next year. There are lots of monasteries around Ireland. Monasteries contains lots of buildings including a church, a round tower, a patch of vegetables or wheat, monks houses, a guesthouse, a scriptorium, a rectory, some cows and sheep all inside an enclosure. An enclosure is walls going around the monastery to protect it from wild animals and enemies. A church is where they have mass and prayer. It is the most important part of the monastery. It is located in the centre of the monastery. The round tower is probably 20 to 30 meters in height. It is used for protection against enemies. Somebody looks out from the round tower. If they see enemies coming for the monastery they ring a big bell to get everybody's attention.Then they all run to the round tower and climb a big rope ladder.Then when everybody is up in the round tower they pull up the ladder so that the enemies can't get up into the round tower. There are around 4 or 5 floors in a round tower the monks also store their treasures there. Monks lived in little huts so that they could study sleep and pray. Their beds were called cells. The guesthouse was for travellers to sleep and get breakfast. It was exactly like a bed and breakfast. A scriptorium was a building where monks came in and wrote books and copied books.The monks wrote their books on calfskin. The calfskin was called vellum. A rectory was a building where monks came in and ate their dinner in a big dining room. Monks also kept cows calves, sheep and lambs. They kept cows for the skin to write on and milk from them and it same with the calves and they kept sheep for the wool. 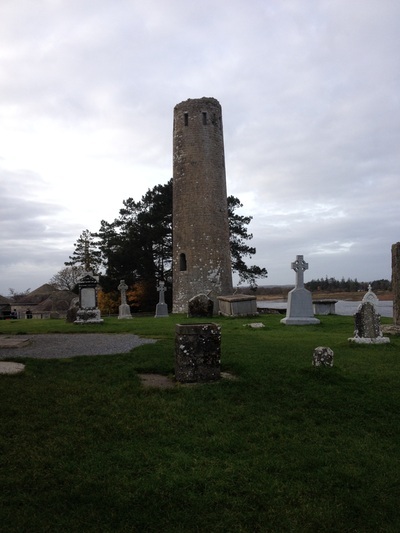 There were many monasteries churches and round towers built but the most famous monastery in Ireland was Clomacnoise.